I have been a wedding officiant in Los Angeles for many years. During that time I have officiated weddings of all kinds, including civil weddings and religious weddings, all over Los Angeles County and Orange County in many Santa Monica Wedding Locations. Some of those weddings have been at Buerge Chapel, a wonderful Southern California wedding venue that you might consider for your wedding. Buerge Chapel (pronounced ‘Bur-ghee’) is a beautiful, charming and intimate chapel in a quiet neighborhood in Pacific Palisades. It is an absolutely perfect wedding location for your small to medium sized wedding. 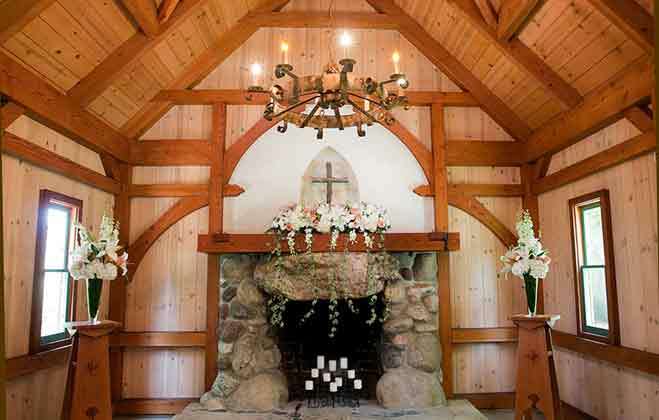 Sitting on the grounds of historic Aldersgate Retreat & Cultural Center, Buerge Chapel has a unique design, allowing the side doors to open onto the beautiful lawn and garden which is perfect for an outdoor wedding reception. No alcohol is permitted outdoors but receptions at the clubhouse next door are allowed beer and wine. A treasure of rustic charm, Buerge Chapel is open to all faiths and civil ceremonies. Buerge Chapel seats up to 48 inside and can accommodate up to 130 with seating on the lawn. Many seating arrangements can be accommodated, and many wedding packages are available, including overnight accommodations in their retreat house. Many wedding packages are available, including overnight accommodations in our historic 1892 retreat house, just a few steps away from the chapel. Buerge Chapel is a hidden gem and is one of the Officiant Guy’s favorite wedding venues anywhere. Contact Buerge Chapel’s site director, Chris Erickson, and you will be in wonderful hands. 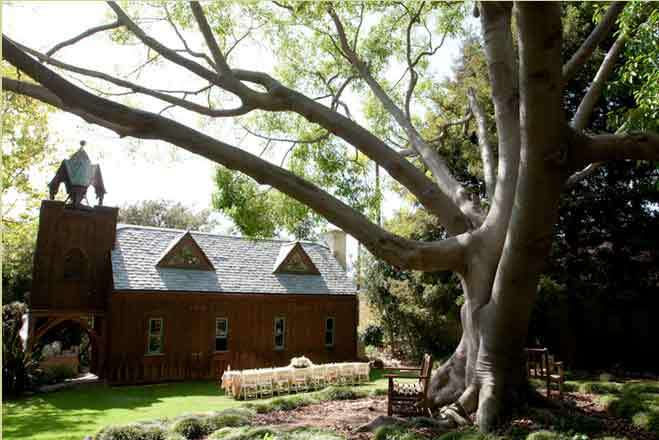 When you are planning your wedding ceremony and reception in Pacific Palisades, the westside, or anywhere else in Los Angeles or Orange County consider the wonderful Buerge Chapel. And when you are making arrangements for your big day, consider this wedding officiant, the Officiant Guy, as your wedding minister.